You know what can be fun, efficient and rewarding? A colour session with your friend/ daughter/sister. Double up, pour yourself a kombucha/hot choccie/mojito and follow our top tips on how to apply colour on someone else’s hair like a total pro. Some of you have, some haven’t but you all can. Colour at home like a pro, that is. Got a friend in need of fabulous new colour? Step up and lend a gloved hand in their time of need. You be the colourist, they get the salon colour results, you both get the glory and have a little fun. Here’s a few colourist-approved tips for successfully applying hair colour from start to finish and everywhere in between. Ready to get started? Read on. We have provided you with all the gear you need to get this right, so you can colour just like the professionals, but with much better banter. Pop the colour proof cape provided in your Free Trial on your friend, the colour proof bench mat on ….the bench ready to mix your colour. Your friend should be wearing a front-opening robe or shirt, preferably in a darker colour and pop an old towel on her lap to keep her colour proof. Find an apron for yourself to complete the look. To make the right start, and make the process a little easier after you get started, first to brush your friend’s hair to get rid of all tangles. We know—this may seem obvious, but you would be surprised by how many people skip this step. We recommend a wide-toothed comb since it reduces breakage. Newly combed hair helps the colour go on smoother and assists colour absorption into detangled sections. Section hair in whatever way you are most comfortable. 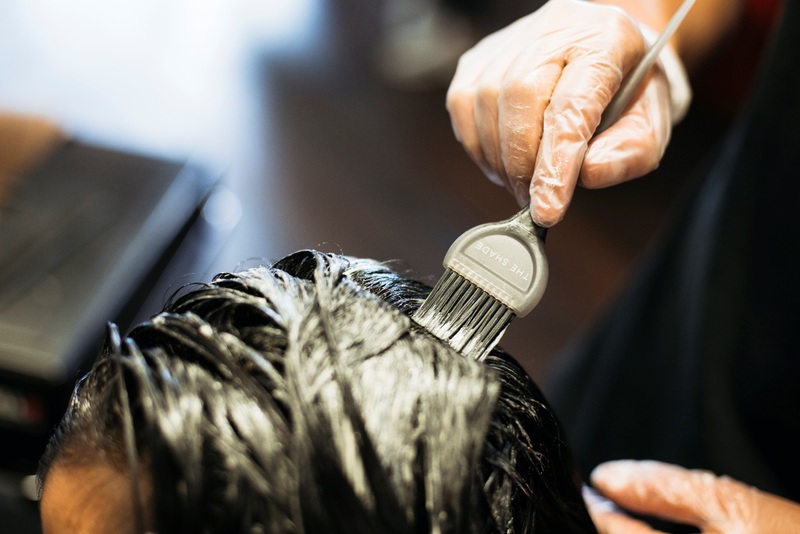 Sectioning is your friend when apply colour—it helps keep your hair and colour manageable and organised through the colouring process. We provide you with 4 clips in your full set of reuseable salon accessories which we ship with every Free Trial order. Seperate the hair into four equal parts at the top of the head in the standard ‘hot-cross bun’ configuration: Start by parting the hair down the middle with a comb and then creating an additional part from ear to ear, so there are four sections. 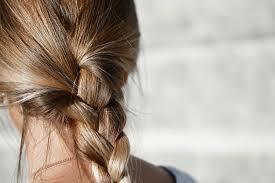 Twist and clip the hair in place for an easier, neater colouring experience. Apply your Barrier Oil Stain Guard. 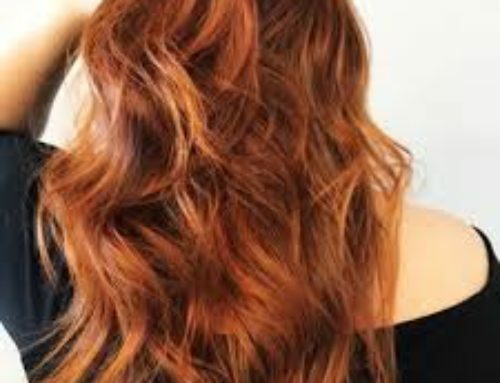 Permanent hair colour formulas can leave stains on the skin if they come into direct contact with the skin after the colour has been mixed and activated, but there are ways to avoid that. Use the Barrier Oil sachets provided in our Colour Kits to border your friend’s hairline and keep the colour from staining their skin. Open the sachet and wipe some of the lightweight oil on their forehead, ears, and neck to avoid those tricky to remove and unwanted hair colour skin stains. They’ll thank you later. Colour Mixing: Follow the instructions in the colour kit to mix the colour and developer using the tint bowl and brush, and you’re ready to colour. Apply colour like a pro for pro results. You know how the colourist in the salon uses a little bowl, brush and gets it just right? You can do that too, whilst keeping your benches super neat and your colour just where you need it. We ship a complete set of reuseable salon accessories with each initial colour order (for Free! ), so you can have a complete home salon set-up. 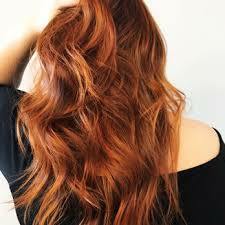 Salon colour and tools gets you a long way towards achieving salon results at home. The time to shine for the bowl and brush colour application technique in particular is when you are just doing regrowth applications or colour touch-ups. The brush allows you to apply colour only on your regrowth so you can avoid overlapping colour and colour build-up which can lead to colour banding – unwanted and seriously uncool darker horizontal bands (stripes, lets face it) of colour in your hair where colour has overlapped. Overlapping colour will appear darker and duller, and it’s not a good look. Working with sectioned hair also lets you clearly see the line between new growth and old colour and the brush lets you take the colour right up to the line, so get your colour placement right for fab colour results your friend will love. Working with two bottles of colour? Our Extra colour orders include an extra colour tube and developer for clients with long hair. If your friend has long hair, don’t be afraid to really massage the colour through their hair, removing tangles as you go to help the colour penetrate and ensure gorgeous, shiny results. In a salon, the stylist would shampoo and rinse you out over a shampoo bowl, but you can save your friend the sore neck and wet clothes. Your friend can jump in the shower when its rinse time, while you sit back with a cuppa. Your friend should the Colour Protection Shampoo and Conditioner provided in their Colour Kit to wash and condition their hair. Our shampoo and conditioner are blended with Sunflower, Sweet Almond and Grapeseed oil and Pomegranate fruit extract which support hair health, seal the new colour and deeply condition for super soft, shiny locks. Touch up with the Colour Remover Wipe. Use the Colour Remover Wipe provided in the Colour Kit for touching up any small missed spots after you’ve rinsed out your colour. Simply wipe it across the skin and and any unwanted colour on their skin will lift right off, leaving a perfect finish and lots of Brownie points for you. Congrats, you’re done colouring! Or, is it your turn for new colour now…? We love seeing your photos, so share them with us on Facebook or tag us on Instagram #theshadehair.